On 6th August 2008 Bishop Elect Neil Tiedemann, C.P. will receive Episcopal Ordination in Mandeville, Jamaica (West Indies). 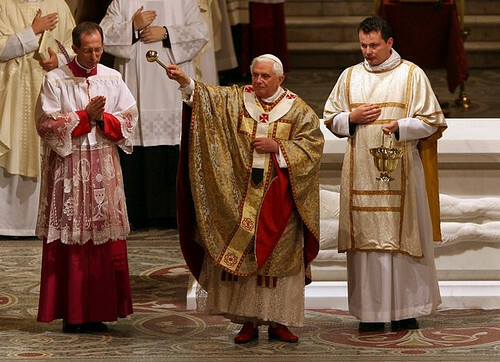 On 28th May 2008 Pope Benedict XVI had named Fr. Neil from the St. Paul of the Cross Province (USA) as the third Bishop of Mandeville, Jamaica (West Indies). The Mandeville Diocese was created in 1997. The total population is around 582,000 of whom some 8,800 are Catholics. The Diocese has 22 parishes, 43 priests (42 diocesan and 1 religious), 6 religious Brothers, 2 seminarians and 28 Sisters. The Diocese has been vacant since 8th August 2006, following the resignation of Bishop Gordon Bennett, S.J. due to health reasons. 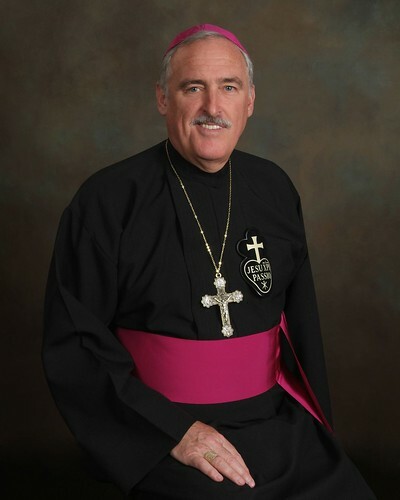 The first Bishop of Mandeville was the late Bishop Paul Michael Boyle, C.P. 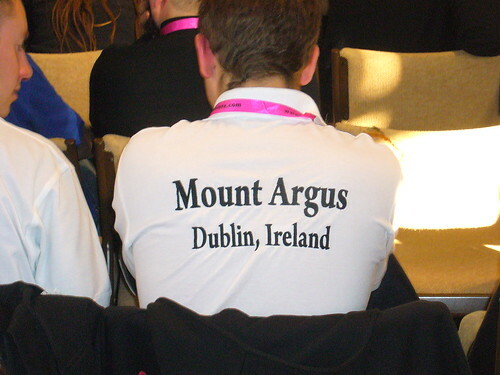 former Superior General of the Passionists. Representing the current Passionist Superior General, Fr. Ottaviano D’Egidio, C.P. at the Episcopal Ordination on 6th August 2008 in Mandeville will be Fr. Denis Travers, C.P., and Fr. Clemente Barron, C.P., from the General Council. Will Manchester’s own Mother Teresa become Britain’s next saint? A nun who worked with the poor in Manchester’s 19th century slums is being put forward as Britain’s next saint. Sister Elizabeth Prout, who has been called a Victorian Mother Teresa, would be the first female British saint for almost 40 years. The unexplained recoveries of two terminally-ill people after their families prayed to Sister Elizabeth are being investigated as possible miracles. A candidate for sainthood must have at least two approved miracles attributed to them before they can be canonised. Sister Elizabeth was renowned for her work with poor mill workers and refugees from the Irish potato famine, which saw her branded a ‘revolutionary’ in her own lifetime. A 14-year inquiry into her life of ‘heroic virtue’ is sending its findings to the Vatican, and it could result in the Pope declaring her ‘Saint Elizabeth of Manchester’ in as little as five years. A Roman Catholic convert, Sister Elizabeth opened nine schools in England’s industrial North West. She also set up an order of nuns – the Sisters of the Cross and Passion, or Passionist sisters – who helped women escape poverty by training them in the skills necessary to make a living on their own. The order now has more than 600 nuns in more than ten countries including Argentina, Peru and Chile, where the sisters are known for their work with the poor. The possible miracles attributed to Sister Elizabeth involve the unexplained recoveries of two people in Chile – a man suffering from cancer and a woman with a brain injury from a fractured skull. They are said to have recovered after their families prayed to Sister Elizabeth. Sister Anne Cunningham, the Manchester-based superior general of the Passionist sisters, will fly to Chile next month to interview them and their doctors. Catholic leaders in Chile will then set up tribunals to gather evidence for the Vatican, which will carry out its own inquiry to see if she warrants beatification and canonisation. The process could make Sister Elizabeth the first British woman saint since Pope Paul VI canonised the Reformation-era martyrs St Margaret Clitherow, St Anne Line and St Margaret Ward in 1970 – and the first British saint since Pope Paul canonised the Scottish Jesuit St John Ogilvie in 1976. Born in Shrewsbury in 1821, Elizabeth Prout became a nun in her 20s. Soon afterwards she began working in the desperate poverty of the slums. She died of tuberculosis in St Helens, near Liverpool, in 1864 at the age of 43. Tomorrow a Mass at her graveside in the town formally concludes the inquiry into her life. Passionist Sister Dominic Savio Hamer, who helped prepare the documents for Sister Elizabeth’s cause, said she was a woman of ‘great integrity and great honesty’ who taught her followers to combine a life of prayer with social action. The last British women made saints by the Roman Catholic Church were all martyrs of the Reformation. St Margaret Clitherow was crushed to death in 1586 in York for harbouring a priest in her home. A sharp rock was put under her spine, and a door loaded with rocks placed on top. She took 15 minutes to die. St Margaret Ward was hanged in 1588 after she helped a priest escape from prison. St Anne Line was hanged at Tyburn, London, in 1601 for harbouring a Jesuit priest in her home. 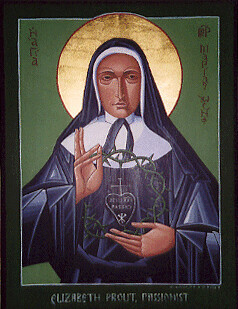 Other Britons being put forward for sainthood as well as Sister Elizabeth include Venerable Mary Potter, the London-born founder of an order of nursing nuns in the 19th century, and Venerable Margaret Sinclair, a 20th century Scottish nun who died of tuberculosis after tending to the poor in Edinburgh’s slums. Victorian Cardinal John Henry Newman and aristocrat Father Ignatius Spencer are also being considered. Prior to World Youth Day in Sydney the Passionists held a Passionist Youth Encounter in Melbourne. Passionist Youth from around the world gathered together at St. Paul Apostle, Endeavour Hills. 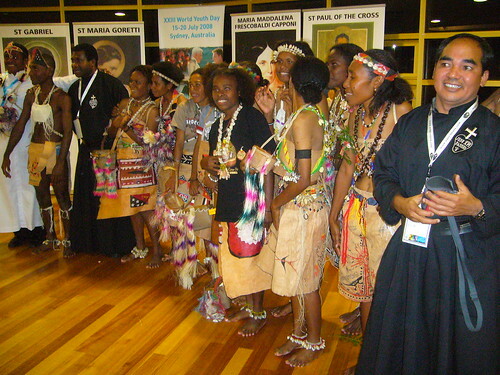 Seen in the photo above are Passionists and Passionist Youth from Vanimo, Papua New Guinea.